Lavender aroma has an almost immediate effect of relaxation it is a natural sedative. 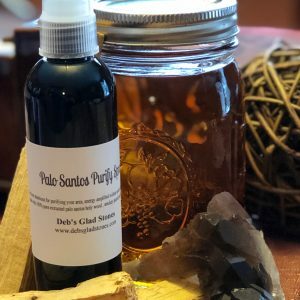 I incorporated an intentional way to calm your aura….lavender away sprays out chaos with a soothing aroma & lepidolite gem elixir is an added calming bonus…. Great for spraying sheets & pillow cases and your room before sleeping….